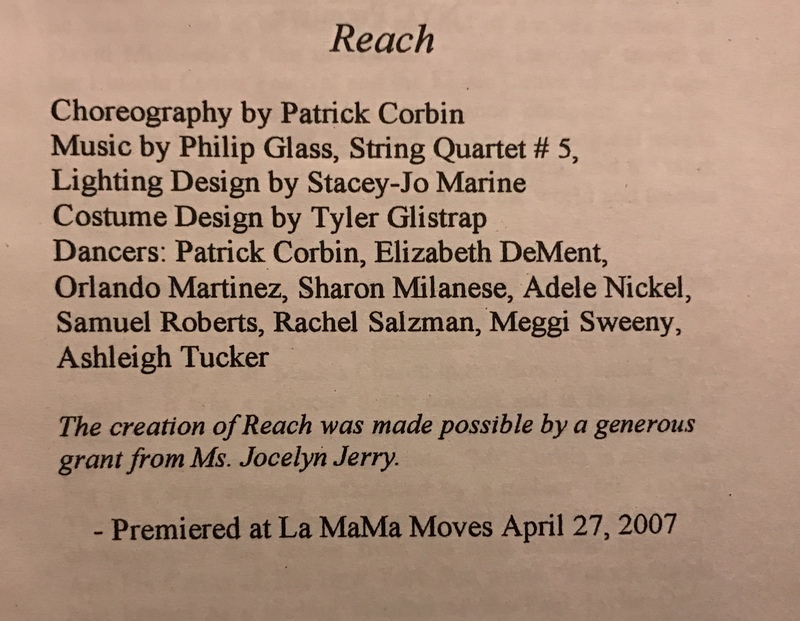 This comes from my first professional performance in NYC in the Spring of 2008 with CorbinDances. It was such an enjoyable experience understudying with Patrick Corbin and you never know when you’ll go on! 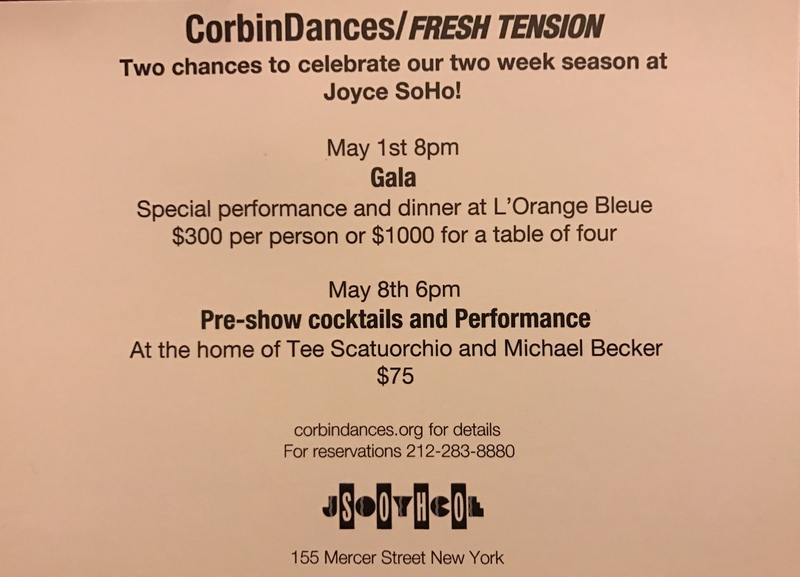 This was it: Fresh Tension at Joyce SoHo, 2008, in his classic work Reach!